Handcrafted Buckle and Belt by Dutchi Design. 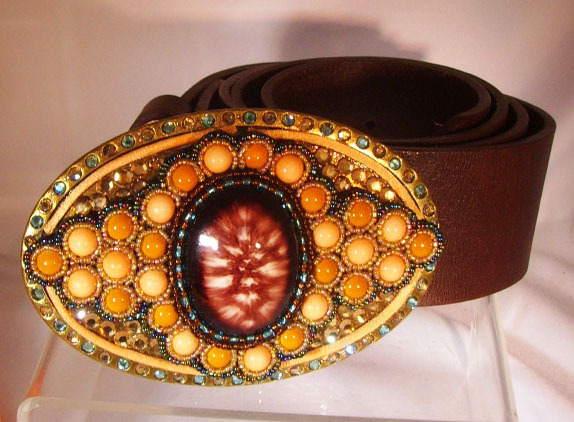 Porcelain beaded buckle with Swarovski and silk. 2" wide.